Since my mother was my first inspiration, instructor and motivation to cook, I would like to start with one of her simple recipes. 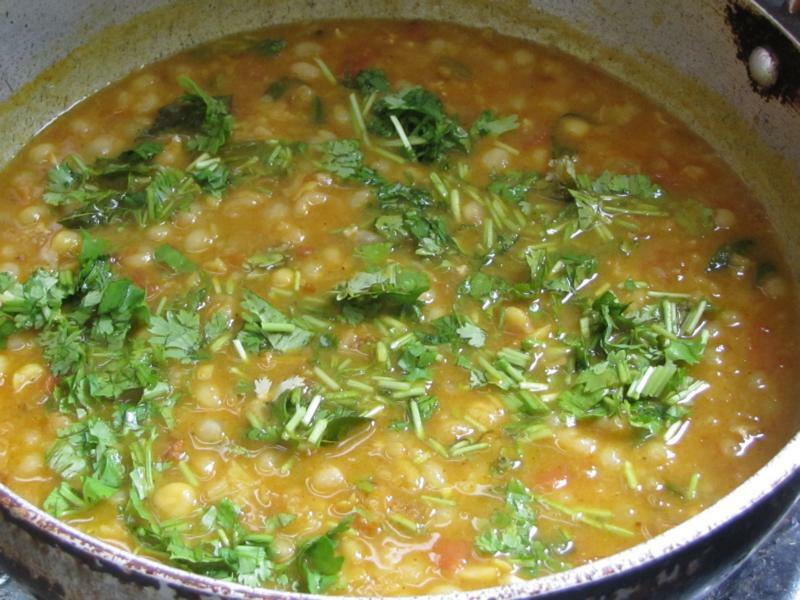 Dried white peas dishes are not as common as fresh green ones. Especially because they take time to cook. However on one of those days, where your supply of fresh vegetable and meat has run out and you feel too lazy for grocery shopping, a pack of dried white peas can come to the rescue. These little bean / lentil family members may take some time to cook but they are extremely high in fibre content and other minerals mainly iron. It is highly recommended for people with iron deficiency. I made this for dinner yesterday and it got cleaned out as everyone enjoys it. But when there is leftover, it is perfect for a big, hearty breakfast with Rotis. Since it is high in fibre and low in fat it keeps you full for longer… a great yummy way to kick-start your day! 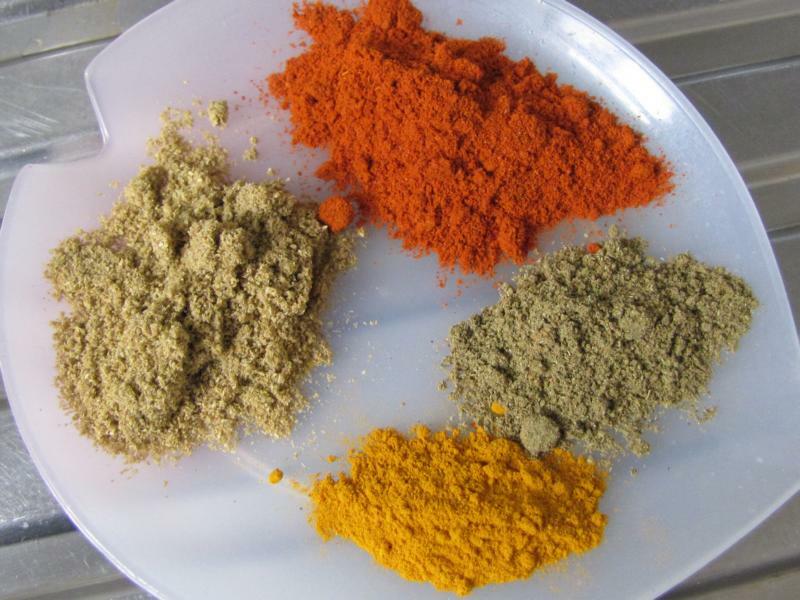 The spices – coriander powder, red chilly powder, turmeric and garam masala powders. I love to use coconut oil especially for Kerala recipes and this also reminds me of my mom. 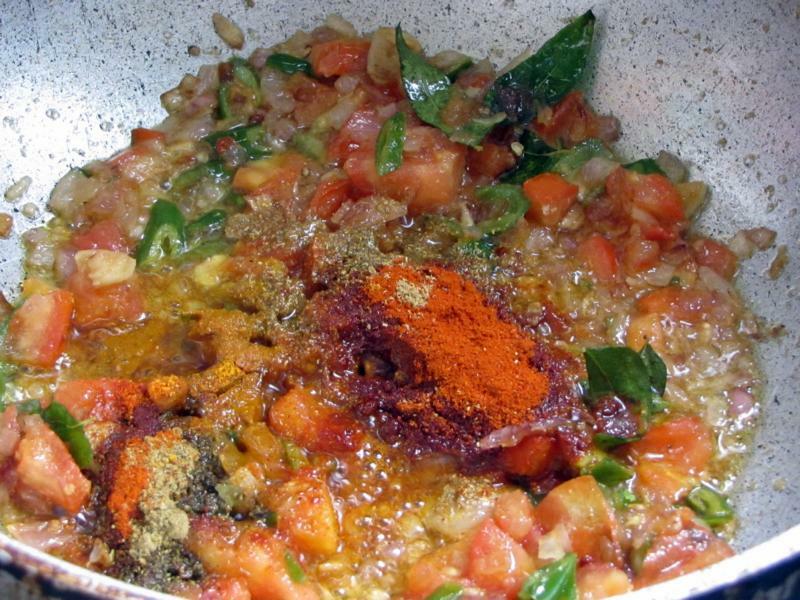 It gives a unique nutty flavor to the food and goes especially well when curry leaves are involved. Then add the cooked peas. Add the garam masala. Bring to a boil and let it simmer. Then sprinkle corianders leaves and boil for 2 minutes. Garnish with coriander and sliced green chilly. In a pan, pour the coconut oil. Once hot, add the chopped onions and sauté till light brown. 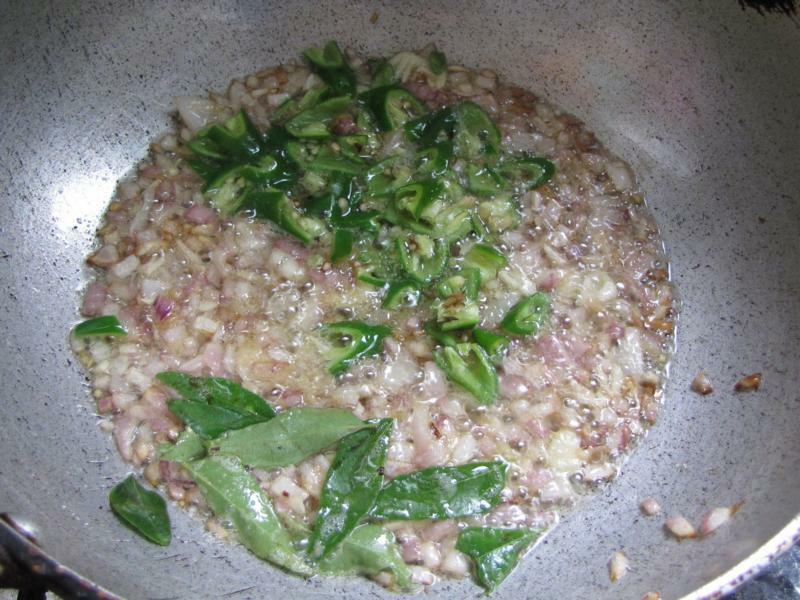 Then add chopped garlic, ginger garlic paste, chopped green chilies. Sauté for 2 minutes. Add curry leave. 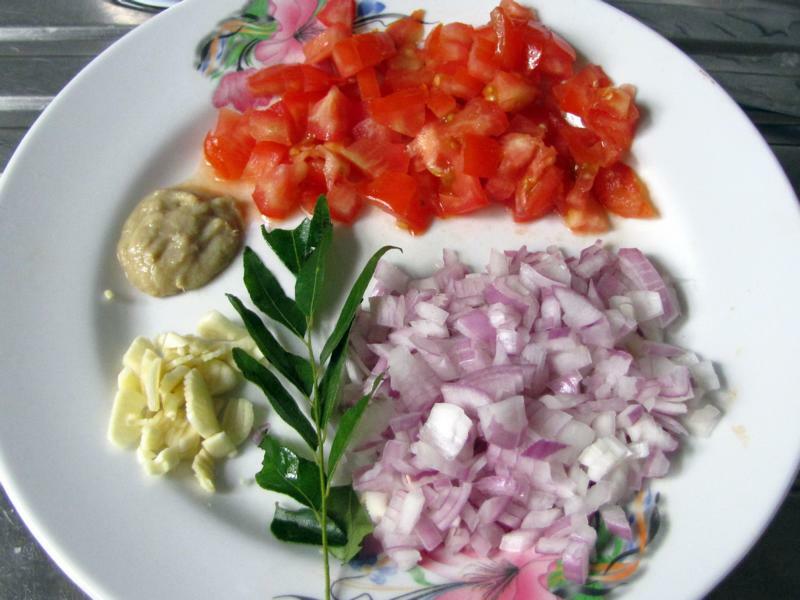 Add tomatoes and sauté till oil starts to separate. Add the spice powders except Garam Masala powder. Sauté for a while. Then add the cooked peas. Add the Garam Masala. Bring to boil and simmer. Then sprinkle coriander leaves and let simmer for 2 minutes. 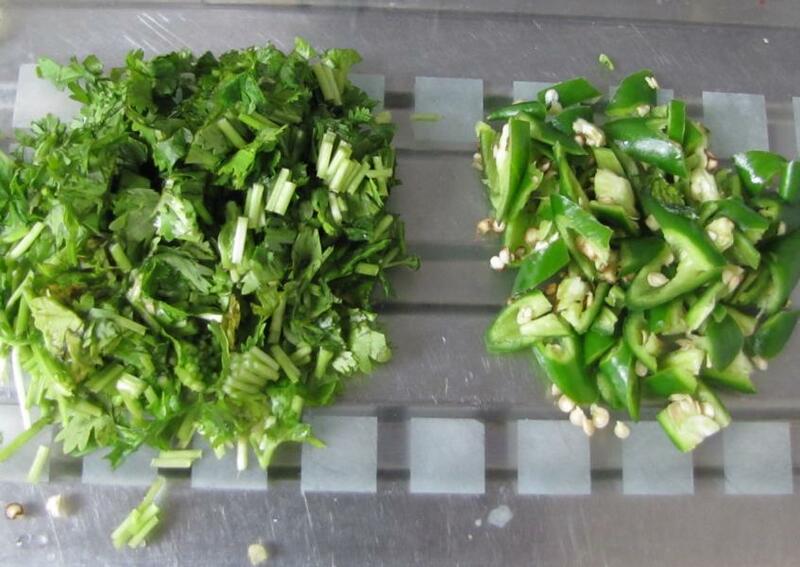 Garnish with coriander and sliced green chilly. 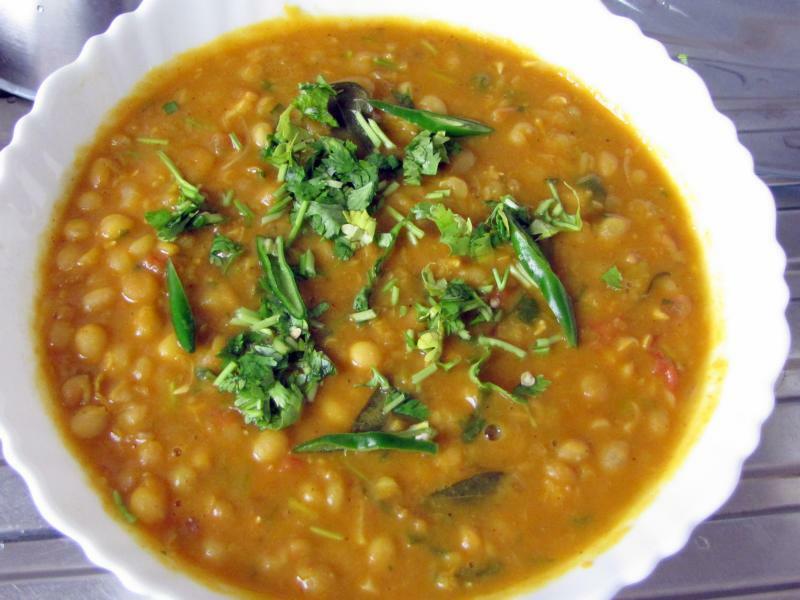 Serve with chapattis or parathas.